It’s one of those days where we quietly ignore the ‘Car’ bit of ‘Car Throttle’. Why? Because there’s a new, tasty-looking two-wheeled machine we’re desperately trying not to dribble over, and we simply must tell you about it. 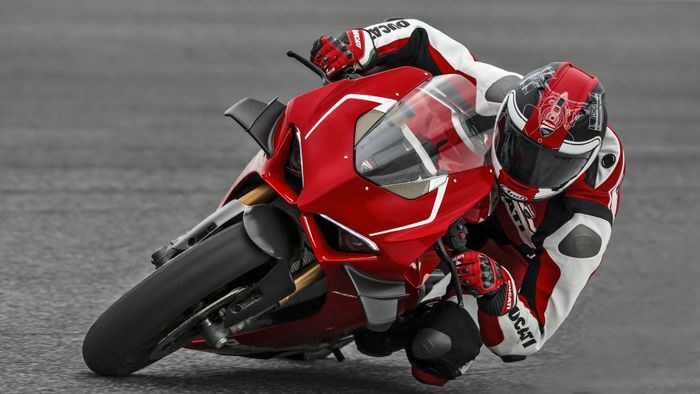 It’s the Ducati Panigale V4 R, which acts as the starting point for the famous Italian brand’s 2019 Superbike-class racing bikes. 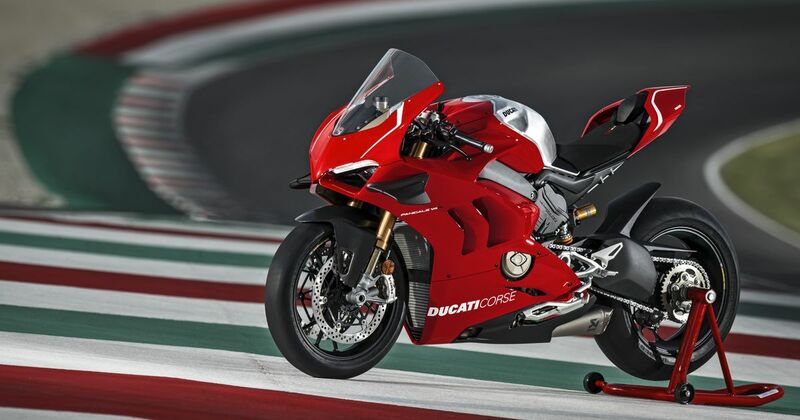 And at its core is…a smaller engine than the standard Panigale V4. It’s all down to the displacement limits regulated by the World Superbike championship. 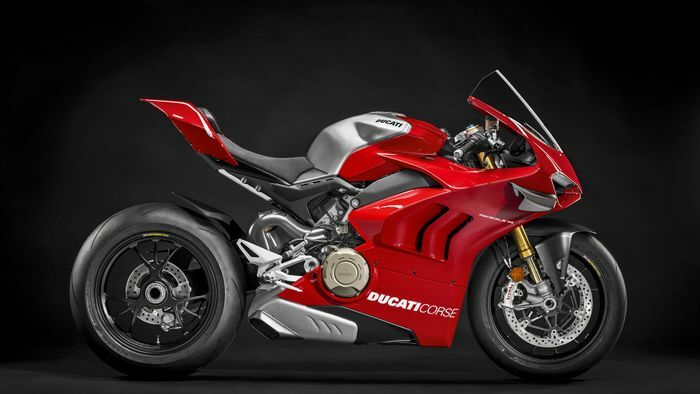 Ducati has kept the bore of the standard Panigale V4 engine but changed the stroke using a new forged steel crankshaft, dropping the capacity by around 100cc to 998cc. Thanks to lightened internal components and wider throttle bodies, it’s actually slightly more powerful, producing 218bhp. It’s lighter too, with a drop of 23kg meaning it tips the scales at a pithy 172kg. If you spec the ‘Race Kit’, which removes all the stuff the bike needs to be road legal and adds a very loud Akrapovič exhaust, that figure falls further to 165kg. Oh, and the power climbs to 231bhp. 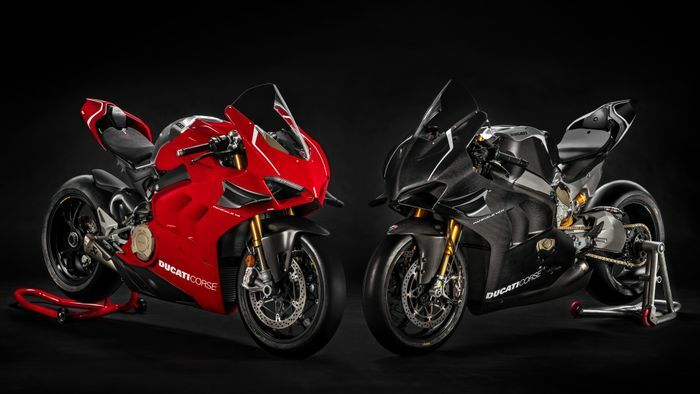 The new aluminium front frame is the work of Ducati Corse motorsport engineers and is complemented by adjustable forks and a steering damper from Öhlins. The adjustable rear damper is the work of Öhlins too. The bodywork has changed significantly from the standard V4’s, sprouting various aero devices including a reshaped windscreen, new fairings with air extractors, and carbonfibre “aerodynamic appendices” modelled on those found on the GP16 MotoGP bike. 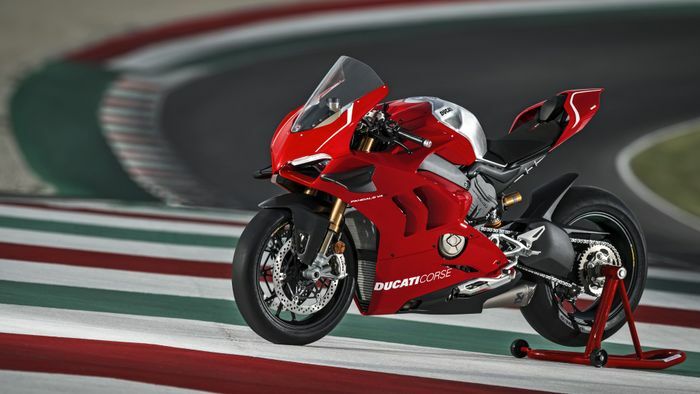 All of this increases stability “in all riding phases,” which means it’s possible to “reduce the intervention of electronic controls and increase rider confidence,” Ducati says. Speaking of which, the V4 R still has plenty of electronic skullduggery going on to keep you upright. Features include a Cornering ABS function - which allows you to grab a bit handful of front brake even when leaned over - traction control, wheelie control, and slide control. A new addition to the suite of ‘leccy bits is the pit lane speed limiter. Pricing hasn’t been revealed yet, but you can expect a hefty increase on the £23,895 Ducati charges for the regular V4 with Öhlins suspension.